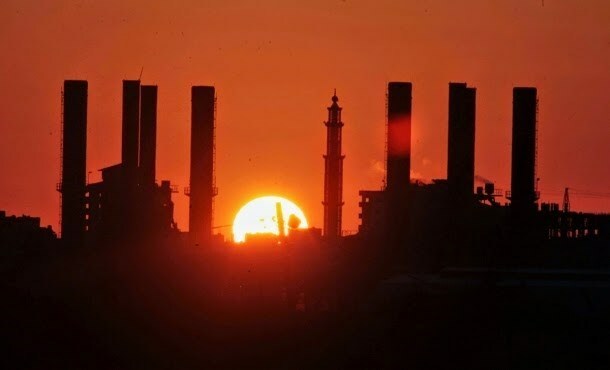 Acute shortages in fuel reserves pushed the power generating company in the blockaded Gaza Strip to operate on the basis of the six-hour-schedule, put into effect in periods of emergency, Fathi al-Sheikh Khalil, deputy chairperson of the Energy Authority in Gaza said. A six-hour schedule, to be put into effect as of Sunday, has been adopted by the Energy Authority in the besieged coastal enclave as the only way out of a crisis in fuel supplies. “We’ve resumed the six-hour schedule as the power plant has run off the needed fuel stocks,” he said. 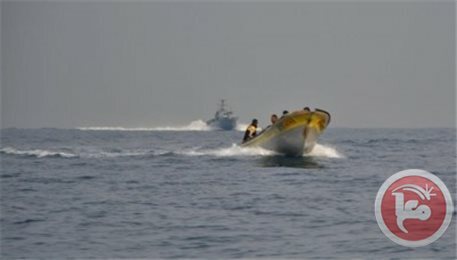 The schedule will remain under effect until the pledged Qatari funds arrive in Gaza, he said. The Ramallah-based Energy Authority notified officials in Gaza of their inability to restock the Strip with the required fuel amounts until otherwise decided by the Finance Minister. He warned that Gaza would sink in the shadows of darkness, urging the unity government to take up its responsibilities and work on assuaging the crisis. An eight-year-old power crisis has been rocking the war-battered Gaza, where frequent shutdowns of the power plant and the electricity outages have fanned the flames of a situation already exacerbated by a tough siege imposed by the Israeli occupation for eight years. The ministry of Agriculture in Gaza voiced firm rebuff to an Israeli request to meet with Palestinian farmers over the issue of toxic pesticides sprayed on their crops by Israeli warplanes last month. The ministry had asked the Israeli occupation authorities (IOA) to identify the nature of the substance sprayed over Palestinian farmlands in mid-November near the security fence, adjacent to southern Gaza, A PIC correspondent quoted government sources as reporting. The IOA laid down a set of stipulations, weeks after the request, saying the probe could only be carried out if samples of damaged crops are taken as case studies and Palestinian farmers are interviewed. The Palestinian ministry rejected the appeal for fear of the security repercussions resulting from Israeli interrogation procedures. A drove of Israeli warplanes had sprayed toxic herbicides over large areas of Palestinians’ crops and farmlands, for three days, that penetrated as deep as 1500 meters of the targeted lands located west of the border fence separating Gaza and 1948 Occupied Palestine. 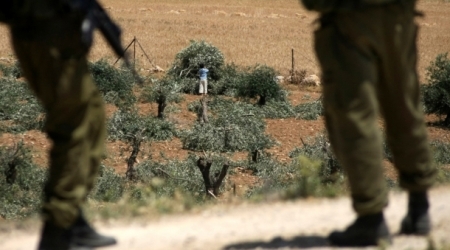 More than 600 dunums of Palestinian cultivated land lots have sustained considerable damage in the process. 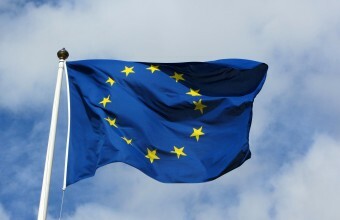 The European Union, Wednesday, made a contribution of approximately €23.5 million to the November payment of salaries and pensions for around 68,500 Palestinian civil servants and pensioners in the West Bank and the Gaza Strip. According to the PNN, this contribution, which is channelled through the PEGASE mechanism, is being funded by the European Union (€18.3 million) and the governments of Sweden (SEK 40.0 million or c.€4.3 million) and The Netherlands (c.€0.9 million earmarked specifically for PA salaries in the justice sector). "The European Union is making this important contribution to the Palestinian Authority budget to help pay the salaries of civil servants and pensioners. We are fully aware of the financial difficulties the PA is facing particularly at a time when it is working to assume its full responsibilities in Gaza. I would like to thank Sweden and the Netherlands for their contribution through the PEGASE mechanism. We hope that other donors will generously provide assistance to enable the PA to continue to function efficiently and effectively," EU Representative John Gatt-Rutter stated. "The Palestinian Authority has made significant tangible progress over the past few years in building the institutions of a future Palestinian state. The EU will continue to support these efforts not only in order to guarantee the delivery of essential services to the Palestinian people, but also, as part of its contribution to Palestinian state building". PNN notes that most of the EU's assistance to the Palestinian Authority is channelled through PEGASE, a financial mechanism launched in 2008 to support the PA Reform and Development Plan (2008-2010) and subsequent Palestinian national plans. As well as helping to meet a substantial proportion of its running costs, European funds support major reform and development programmes in key ministries, to help prepare the PA for statehood. Since February 2008, around €1.8 billion have been disbursed through the PEGASE Direct Financial Support programmes. In addition, the EU has provided assistance to the Palestinian people through UNRWA and a wide range of cooperation projects. Israeli occupation authorities have barred, at Kerm Abu Salem crossing, ten truckloads of agricultural products from passing out of the war-torn and economically besieged Gaza Strip, due to an alleged dispute between the Israeli army and the Ministry of Agriculture. The dispute is preventing the trucks and their cargo to pass, and to be exported to Saudi Arabia and West Bank, according to Al Ray Palestinian Media Agency. Israeli website Walla reported, on Monday, that allowing the export of the agricultural products comes in the framework of " facilities" granted for Gaza residents in the wake of the last summer's assault on the region, by Israel. 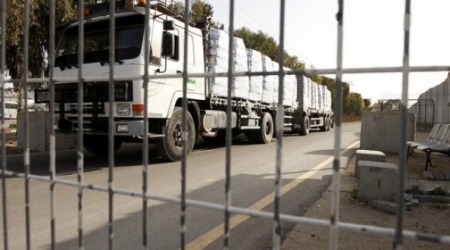 Israeli authorities had previously agreed on the passage of ten truckloads per day. Israel's national electricity company has reportedly decided to reduce the amount of electricity supplied to the Gaza Strip and the West Bank due to debts on the part of the Palestinian Authority, according to business media. Daily newspaper Calcalist stated, this past Saturday. that the company will reduce the amount of the electricity provided to Gaza and the West Bank this week, according to plans prepared by the company and presented to the office of the Israeli Prime Minister, the Ministry of Finance, Ministry of interior, and Ministry of Energy. According to Al Ray Palestinian Media Agency, the newspaper revealed that the amount of debt has reached an unprecedented figure and was up to NIS 1.78 billion, representing 30% of the company's income for the first quarter of the current year. Israeli PM Benjamin Netanyahu intervened to prevent the company from cutting the electricity in the PA areas, as he considers it as a political issue affecting the current events.